Visions Electronics on your service with 15% price beat guarantee. Doesn’t matter in store or online you can use this deal for every product. Like other electronics, their product range is quite wide. From TV and video to small appliances you can shop easily and for good prices. 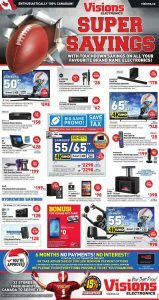 View the newest Visions Electronics Flyer and learn special deals. If we compare with other retailers, their computers are little bit cheaper. For gamers Asus Game Republic series on sale in store. Now, Samsung 4K TV + Xbox One bundle sure is the best deal on this flyer. But there are more deals I can assure you ! For example, Samsung Galaxy Tab E Lite 7” Tablet is %50 off and you can save 200$ with Acer Aspire Laptops. 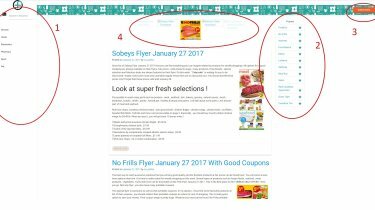 There are sure more deals on this flyer so if you want to check it all out, just click the right hand side image for whole flyer. Deals on Visions Electronics wont end here, so do NOT forget to check out the whole flyer right now. And please subscribe our news teller for brand new deals and hottest and newest flyers on many retailers.